Is A Revocable Living Trust Really a Necessary Tool To Accomplish Effective Missouri Estate Planning? The answer to a broad question such as this obviously depends on the type of assets a client possesses and what his objectives are. But, the place to start evaluating the answer is to begin with an understanding of why a revocable living trust can benefit a client and his family relative to other non-probate transfer tools. If anyone has had the unfortunate experience of having a close loved-one pass away with only a will or no estate planning at all, they should be familiar with what a costly and time consuming legal process the probate court process can be. Often when estate planning clients come in for a consultation, they are equipped with a negative personal account of how the probate process has impacted their family. Therefore, their first objective is often to devise an estate plan that will allow their assets to pass to their loved ones in a way that will avoid probate court. How do we avoid probate court? A Missouri estate planning attorney has multiple tools at his or her disposal to complete non-probate transfers. For example, this may be accomplished through jointly titling assets with loved ones you wish to inherit the property as well as using beneficiary designations and transferable upon death designations. While these tools are simple and can be effective in avoiding the probate court process, they are very limited in what else they can accomplish in terms of how and when ownership of property is transferred after death. Furthermore, the use of these may lead to unintended complications during the lifetime of an estate planner including when there is a desire to make changes to their estate plan or to sell or otherwise transfer a particular asset during their lifetime. What about a will? Can it be used in conjunction with jointly titling assets or the use of beneficiary designations to create flexibility to determine when and how the transfer of assets take place after death? The simple answer to this question is “No”. A will has no impact once these non-probate transfer tools are used. A will is generally limited to creating a specific road-map of how your assets will be transferred through the probate court process. Only those assets that are not part of a non-probate transfer are subject to the terms of a will. In other words if you are using a will to transfer assets, those assets are subject to probate court. Once you use tools such as beneficiary designations or jointly titling assets the will has no impact. 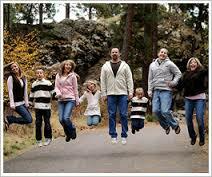 So why has the use of revocable living trust becomes such a popular estate planning tool? 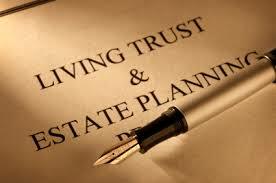 In short, the use of a revocable living trust affords a client the ability to accomplish estate planning goals of avoiding probate court, maintaining exclusive control of their assets during their lifetime, by serving asTrustee of their own trust, while allowing for much greater flexibility in the planning for how and when their assets will be distributed as compared to the other non-probate tools mentioned. For example in a situation where a client has children or grandchildren they wish to assist through their estate planning, a living trust allows the creators of the trust (settlors) the ability to set specific parameters on the inheritance of assets such as the age their loved ones will receive their inheritance, or the accomplishment of a stated goal like the graduation from college, while also allowing the individual then managing the trust assets (successor trustee) the ability to provide for the heirs basic needs until the ultimate transfer of their inherited share. This is often referred to as “parenting from the grave” by estate planning attorneys. Finally, the growing reliance on revocable living trusts as a basic estate planning tool is also tied to the relative simplicity of its use. Once the specific trust for your family is created, the next step is a simple transfer of those eligible assets into your trust. Clients will then find that the existence of a living trust is extremely user friendly and will have negligible impact on their daily life. Please contact us today for a free consultation regarding your estate planning needs and a discussion on how we can help accomplish your goals.